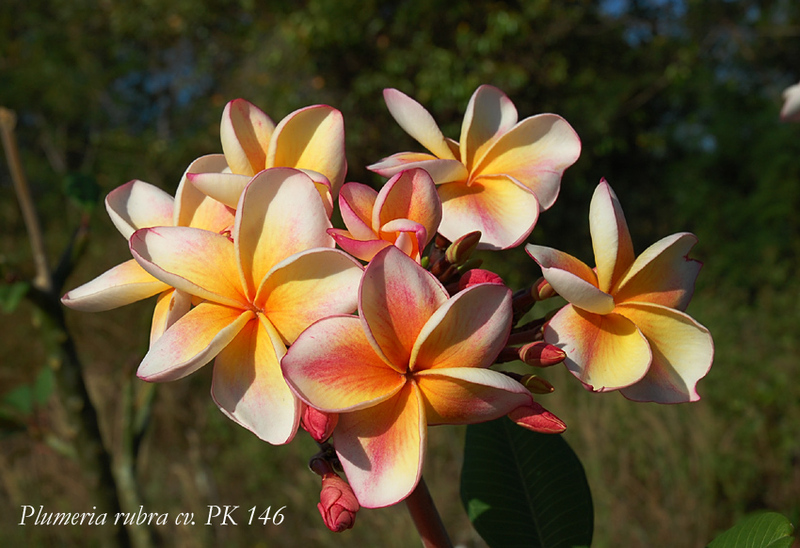 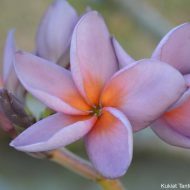 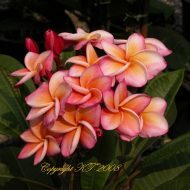 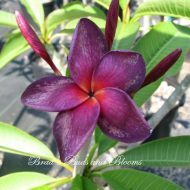 This gorgeous and compact plumeria produces nice clusters of 3″ flowers of with a pink over cream-white background of golden-orange. Petals are wide and attractive. 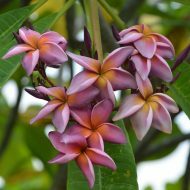 Her fragrance is an intense, fruity sweet perfume. 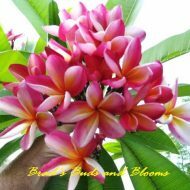 Grafted plants 11”- 15” from the soil line.